Located in the centre of the country, the town is 453 kilometres (281 mi) west of the former capital at Dar es Salaam and 441 kilometres (274 mi) south of Arusha, the headquarters of the East African Community. It is also 259 kilometres (161 miles) north of Iringa through Mtera. 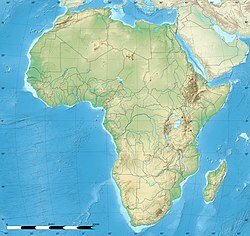 It covers an area of 2,669 square kilometres (1,031 sq mi) of which 625 square kilometres (241 sq mi) is urbanized. Originally a small market town known as Idodomya, the modern Dodoma was founded in 1907 by German colonists during construction of the Tanzanian central railway. The layout followed the typical colonial planning of the time with a European quarter segregated from a native village. In 1967, following independence, the government invited Canadian firm Project Planning Associates Ltd to draw up a master plan to help control and organise the then capital of the country Dar es Salaam that was undergoing rapid urbanisation and population growth. The plan was cancelled in 1972 in part due to its failure to adequately address the historical and social problems associated with the city. On 1 October 1973, after a nationwide party referendum, the Tanzanian government announced that the capital would be moved from Dar es Salaam to a more central location to create significant social and economic improvements for the central region and to centralise the capital within the country. The cost was estimated at £186 million and envisaged to take 10 years. The site, the Dodoma region, had been looked at as a potential new capital as early as 1915 by the then colonial power Germany, in 1932 by the British as a League of Nations mandate and again in the post-independence National Assembly in 1961 and 1966. With an already established town at a major crossroads, the Dodoma region had an agreeable climate, room for development and was located in the geographic centre of the nation. Its location in a rural environment was seen as the ujamaa heartland and therefore appropriate for a ujamaa capital that could see and learn from neighbouring villages and maintain a close relationship to the land. A new capital was seen as a more economically viable alternative than attempting to reorganise and restructure Dar es Salaam and was idealised as a way of diverting development away from continued concentration in a single coastal city that was seen as anathema to the government’s goal of socialist unity and development. Objectives for the new capital included: that the city becoming a symbol of Tanzania’s social and cultural values and aspirations; that the capital city function being supplemented by industrial-commercial development; and that the mistakes and features of colonial planning and modern big cities such as excessive population densities, pollution and traffic congestion were to be avoided. The Capital Development Authority (CDA) invited three international firms to submit proposals for the best location and preparation of a master plan: Project Planning Associates Ltd., of Canada; Doxiadis Associates International, of Greece (who had worked on Pakistan’s new capital of Islamabad); and Engineering Consulting Firms Association, of Japan. A fourth firm from Germany submitted a proposal without invitation. The winner, decided by the CDA together with independent American consultants, was Project Planning Associates, the same Canadian consultants whose plan for Dar es Salaam was seen as inadequate and not responsive enough to the local conditions and needs for Tanzania’s largest city. Their plan envisaged a city of 400,000 persons by 2000 and 1.3 million by 2020. Dodoma was envisaged as the first non-monumental capital city as opposed to the monumentality and hierarchy of other master planned capital cities such as Abuja, Brasilia and Washington. It rejected geometrical forms such as grid iron and radial plans as inappropriate as the urban form was intended to undulate and curve with the existing topography and not in conflict with it so as to retain its rural ujamaa feel. As befitted Tanzania’s development at the time, the car was seen as secondary in importance to public transports such as buses which were then utilised by much of the population. In 1974, Dodoma had a population of 40,000 and was chosen as the actual site of the new capital as opposed to nearby Hombolo or Ihumwa. The existing population size was not seen as an impediment while existing infrastructure would reduce construction costs. The city, designed over 2,500 acres (1,000 hectares), was meant to be "the chief village in a nation of villages," built at a human scale meant to be experienced on foot. Its basic principles follow the garden city model of a town set amongst a garden with green belts separating segregated zones for residents and industry. As part of the move of the government, a capitol complex was envisaged and multiple designs by different international teams offered competing visions and versions of the siting and layout of a capitol complex. These competing proposals, some paid for by foreign governments as a form of aid and others by the firms involved were presented as early as 1978. However, it was not until 2006 that the Chinese government delivered a finished parliament building in Dodoma. The final location of the parliament was not in its original intended location in the master plan, with the location now being developed as a site for a university. As much of the initial design never came to fruition over the past 40 years, government offices and embassies have resisted moving offices to Dodoma. As a result, many government offices remain in Dar es Salaam, which remains the commercial and the de-facto capital of Tanzania. Dodoma was envisaged as a nation building project to cement a newly post-colonial independence identity and direction in Tanzania and is similar to projects in Nigeria (Abuja), Botswana (Gaborone), Malawi (Lilongwe) and Mauritania (Nouakchott). Dodoma municipal authority is also responsible for the upkeep of the nearby Hombolo Dam. Dodoma features a semi-arid climate with relatively warm temperatures throughout the year. While average highs are somewhat consistent throughout the year, average lows dip to 13 °C (55.4 °F) in July. Dodoma averages 570 mm of precipitation per year, the bulk of which occurs during its wet season between November and April. The remainder of the year comprises the city’s dry season. There are several universities in Dodoma, two of which include the St Johns University of Tanzania, owned by the Anglican Church of Tanzania, and University of Dodoma, with about 35,000 students. Both universities officially opened in 2007. In addition there is Mipango University and CBE. The Anglican Church owns the only international school in Dodoma, Canon Andrea Mwaka School ("CAMS"). CAMS, established in 1950, provides education to children from Nursery to Form 4. The education is based on the English National curriculum and the school offers students the opportunity to take IGCSE examinations. An estimated 280 students are taught at the school. The city's airport, Dodoma Airport is managed by the Tanzania Civil Aviation Authority; the size of planes are limited to small aircraft at the moment. There are plans to build a new airport outside the city with increased runway length and weight-bearing capacity. The city can be reached by flights operated by Air Tanzania, Auric Air, and Flightlink at Dodoma Airport south of Dodoma. The city is also served by the Dodoma train station located near Kikuyu Avenue which has the Central Railway Line. The Central Railway Line connects it over a distance of 465 kilometres (289 mi) with Dar es Salaam in the east. A daladala station is also located serving Dodoma on B129 south west of Dodoma. A major highway connects Dodoma with Dar es Salaam via the Morogoro region in the east. To the west, there are roads to Mwanza and Kigoma going through Singida and Tabora. The Great North Road links the city with Babati and Arusha to the north, via Kondoa. The House of Parliament of Tanzania is located in Dodoma. The city is represented in the Tanzanian Premier League by football clubs Dodoma FC, before was known as Polisi Dodoma, other oldest clubs as CDA, Waziri Mkuu, Kurugenzi, Mji Mpwapwa and Dundee. Football is admired by most children and teenagers in Dodoma. Played on a regular basis, football is a hobby that is the favourite of most young boys in Dodoma. Interest in other sports (such as volleyball, basketball, and even rugby) is gradually increasing, but is still a distance away from the reputation football has achieved in the city. The city hosts the Jamhuri Stadium on School Avenue. The Anglican Church in Dodoma. Central Dodoma during the daytime. The city hosts the Dodoma Cathedral, the Anglican Church and the Muammer Gaddafi mosque. ^ a b c "2012 The United Republic of Tanzania Population and Housing Census". Archived from the original on 2014-04-13. Retrieved 2014-03-12. ^ "Country Profile from the official website of Tanzanian government". Retrieved 2014-03-01. ^ Cheney, David M. "Dodoma (Archdiocese) [Catholic-Hierarchy]". Retrieved 22 August 2016. ^ a b c Siebolds, Peter; Steinberg, Florian (1980). "Dodoma — A future African Brasilia?". Habitat International. 5 (5–6): 681–690. doi:10.1016/0197-3975(80)90008-9. ^ a b c d Beeckmans, Luce (2018). "The Architecture of Nation-building in Africa as a Development Aid Project: Designing the capital cities of Kinshasa (Congo) and Dodoma (Tanzania) in the post-independence years". Progress in Planning. 122: 1–28. doi:10.1016/j.progress.2017.02.001. ^ a b c d e f Hayuma, A.M. (1980). "Dodoma: The planning and building of the new capital city of Tanzania". Habitat International. 5 (5–6): 653–680. doi:10.1016/0197-3975(80)90007-7. ^ Aloysius C. Mosha. "The planning of the new capital of Tanzania: Dodoma, an unfulfilled dream" (PDF). University of Botswana. Retrieved 2013-03-13. ^ a b c d Vale, Lawrence J (2008). Architecture, power, and national identity. London: Routledge. pp. 146–193. ISBN 9780415955140. ^ Friedman, Andrew (2012-05-01). "The Global Postcolonial Moment and the American New Town India, Reston, Dodoma". Journal of Urban History. 38 (3): 553–576. doi:10.1177/0096144211428765. ISSN 0096-1442. ^ Callaci, Emily (2016-02-01). "'Chief village in a nation of villages': history, race and authority in Tanzania's Dodoma plan". Urban History. 43 (1): 96–116. doi:10.1017/S0963926814000753. ISSN 0963-9268. ^ "World Weather Information Service – Dodoma". World Meteorological Organization. Retrieved 22 May 2016. ^ "Klimatafel von Dodoma / Tansania" (PDF). Baseline climate means (1961-1990) from stations all over the world (in German). Deutscher Wetterdienst. Retrieved 22 May 2016. ^ "Auric Air". Auric Air Services Ltd. March 30, 2012. Retrieved March 30, 2012. Wikivoyage has a travel guide for Dodoma. This page was last edited on 14 April 2019, at 07:04 (UTC).